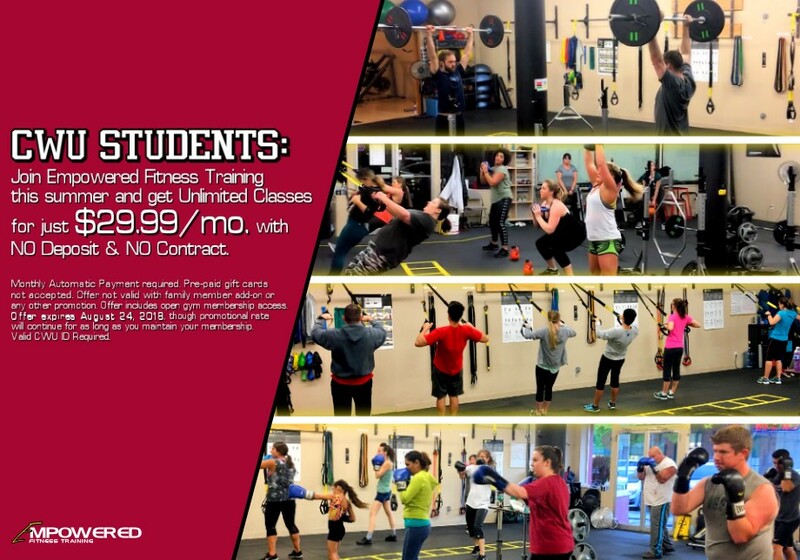 CWU Students: $29.99/month for Unlimited Classes now - August 24th, 2018. Available in-person on the day of your first class. Simply pre-register online, present your CWU Student ID when you come to class and the special is yours. Also includes Membership Access.